It was all fun and games in Carlow at the weekend, as celebs and tag rugby players ignored the weather and took to the pitch for a bit of healthy entertainment. International rugby players, TV personalities and politicians braved the elements and got tagging for charity at the festival’s opening match. 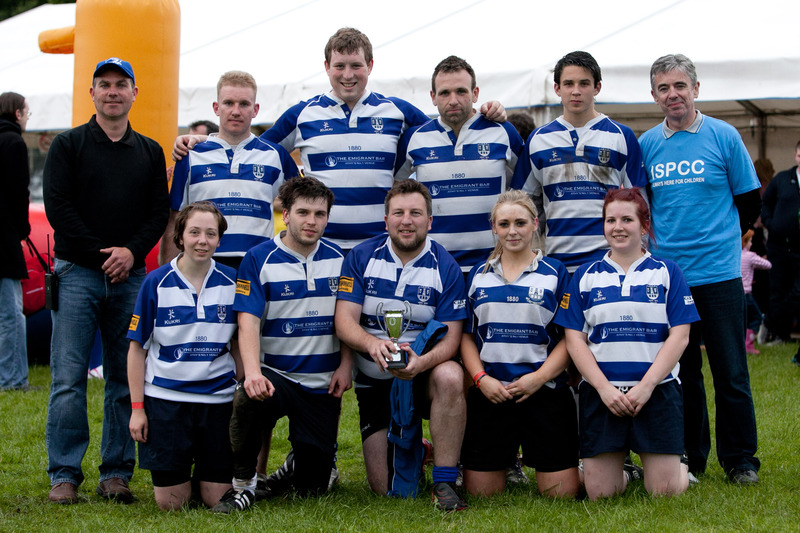 The celebrity match kicked off the tag rugby and music event and raised money for the ISPCC and IRFU Charitable Fund. After the celebrity match, it was back to the 90’s dance floor, as Pump Up the Jam brought their 90’s nostalgia to the festival and got celebs, tag-players and non-players in dance mode. Celebs get ready to tag! On Saturday, it was time for the 50 teams registered (unfortunately no World Record! but good fun) to take to the pitch. 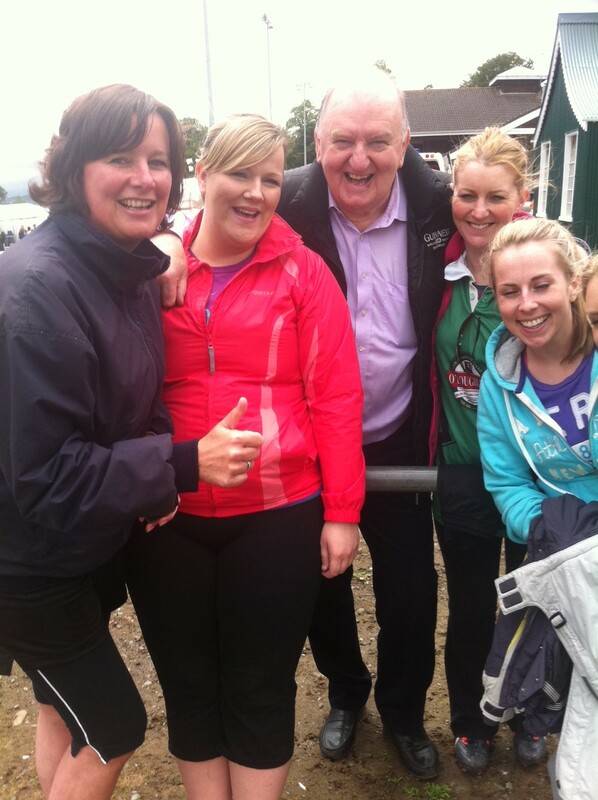 Rugby fan George Hook was seen having a look at the sport action and supporting the tag rugby players too. The overall tournament winners were the Athy Rugby Club taggers, with captain Stephen Ashmore leading the team. Congrats! And roll on next year’s PLAY!